All aboard the bus for the company retreat! And of course, Chen Che and Zhen Zhen end up sitting together. Zhen Zhen quickly falls asleep and mumbles something about whether or not her lunchbox is tasty (Chen Che tells her no). Xiao Long watches from the other side with envy and suddenly gets up to switch seats with Chen Che, who actually complies. Oh man, you might regret this one later! And ah, before I forget, Ya Juan wanted Jin Qin to come along, but he declined because he’s got work to do with his classmates. Boooo! Nawwwhhhhh it’s not as good as Jin Qin actually showing up and SURPRISING his girlfriend. Yes, Jin Qin introduced himself as Ya Juan’s boyfriend. Well, will you look at that? When Jin Qin clarifies that he is NOT staying the night, Chen Che is all disappointed because he thought this might’ve been the night. Boy, get your mind out of the gutters! 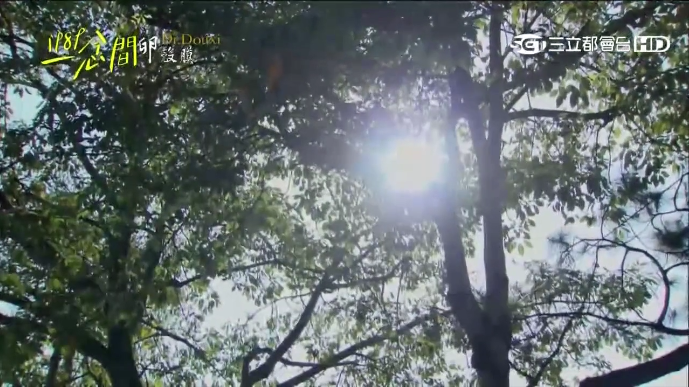 Soon, Ya Juan and Jin Qin go off to gather branches for burning and the most romantic branch-picking scenes ensue. Seriously, I never thought getting firewood can be this MV-like. Also, how far do they need to go? They are like deep in the forest. I’m fairly sure there is wood everywhere guys. Meanwhile… Zhen Zhen is getting worried that Chen Che might’ve fainted somewhere because he didn’t bring his inhaler with him. And so she decides it would be a GREAT idea to set off on her own looking for him. Right. You are going to get lost aren’t you? No, she is not, but she does something equally stupid – she jumps in out of nowhere when Jin Qin and Ja Yuan are about to kiss. Cue eye roll. Anyway, Chen Che appears. Zhen Zhen gives him a big hug and he scolds her for being so brash. On their way back Zhen Zhen keeps complaining about a cut she got, but because Chen Che teases her so hard about it, she pretends like it’s all ok. This is going to come back and haunt us isn’t it? Sure enough, Xiao Long finds the two horseplaying and gets all upset. I don’t know how Zhen Zhen is so oblivious to all of this because it cannot be any clearer how much he likes her. In any case, suddenly the PAIN, oh the PAIN in that cut is just too much to bear for Zhen Zhen. Xiao Long steps up to give her a piggyback ride and after some hesitation, she takes up on it. But really, she barely got brushed up by a small branch. Is this necessary? Back at camp, the group sits down to eat dinner after Xiao Long impresses everyone with his fire making skillz (it’s not that easy ya’ll – have you seen the folks struggle in Nakes and Afraid?). Zhen Zhen, still a little grumpy over what happened earlier, makes an excuse and leaves. Xiao Long takes this opportunity to question Chen Che on his background. Uh-oh, someone’s getting suspicious! Luckily, before anything could happen Jin Qin comes over to break the ice and Chen Che sneaks off. After a pep talk with his bro, Xiao Long works up the courage to confess to Zhen Zhen. However, he makes the mistake we’ve seen so many times of not checking whether she is actually listening before he just blurts everything out. Yup, he is outside the door while she is taking a shower. Good going dude. He tries again, but she sneezes and completely misses it. Awwwww. BOOM! Thunder cracks as rain downpour outside. Chen Che remembers Zhen Zhen’s fear of thunder and runs to her side of the lodge only to find Xiao Long taking care of her. I know he may be petty sometimes, but Xiao Long is really a sweet guy. Just as Chen Che is about to leave, Zhen Zhen spots her from the side of her eye (that peripheral vision – drama blindness where did you go?) and runs up to him, but falls. Chen Che immediately tends to her wound (didn’t Xiao Long just do it?) while Xiao Long jokes around with Zhen Zhen. Thunder cracks again and Chen Che leaves Zhen Zhen to Xiao Long… only after he spies on them again. Gosh dude, stop being such a peeping Tom! Sure enough, Zhen Zhen ends up going to the hospital and who but Xiao Long volunteers to take care of her. Chen Che is left home alone and feels the emptiness without Zhen Zhen there – he even misses her noisiness – this is a sure sign of love. He beeps her the next day with the message 07860 (did you eat?) and she responds with 526 (I am hungry). Ya Juan catches him smiling to himself. So now that he knows she wants food he must deliver, right? Chen Che drops by with some beef and carrot rice, but Zhen Zhen is already eating the noodles Xiao Long bought – her favorite. Turns out beef and carrot is Xiao Long’s favorite. Ha ha! Xiao Long ducks out for a call and Chen Che sourly tells Zhen Zhen that she can just rely on Xiao Long from now on. She breaks out into a wide smile, saying that he is jealous! Zhen Zhen’s mom is terrified something will happen to Zhen Zhen while on the retreat. Chen Che had to calm her nerves. Chen Che drinks water out of Zhen Zhen’s bottle and she freaks out thinking that he likes her too. Ohy. 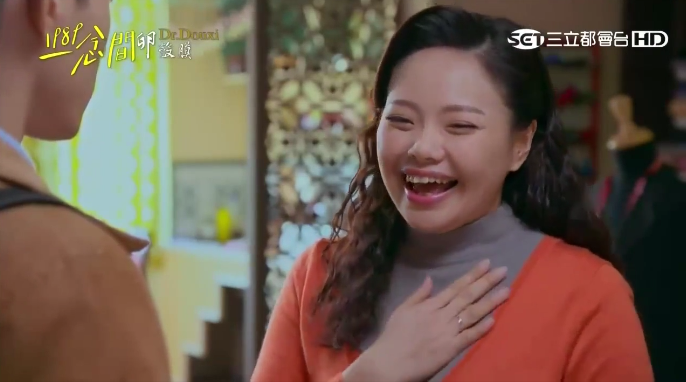 Xiao Long tells Jin Qin that he likes Zhen Zhen. Were we the only ones who thought it looked obvious?? Chen Che gifts Zhen Zhen a Little Tigers photo album and finds that she has crossed out the “my future husband” note on Nicky Wu’s picture. Hehehe. Xiao Long discovers that Chen Che used Ya Juan’s dad’s name to open an account. Catch episode 9 of Back to 1989 on Viki now!